The 6-speed equipped Mercedes-Benz C320 was the interesting choice for someone who wants a self shifted German luxury sedan, but doesn't want a BMW -- but DT commenter Tom McGuire hit the nail on the head when he wrote: "Can Have" and "Not Want" sum up my view of this era of MB. Buy a BMW. Can't argue with that kind of logic -- but what if you don't want to be yet another poseur in a black 3-series? You could pickup a used 6-speed equipped 5-series, like this 2007 BMW 550i here on eBay with opening bid of $9,900 reserve-not-met located in New Rochelle, NY. You won't find some fuel sipping inline-6 under the hood of the 550i -- no sir, its got a 4.8 liter (shouldn't it be a 548...don't get me started on BMW's badge fudging [fadging?]) DOHC V8 that puts out 360 horsepower and 360 ft-lbs of torque into a 6-speed manual gearbox. 2007 BMW 550i: Beck/Arnley Direct Ignition Coil (req 8) for $45.89 via AdvanceAutoParts. 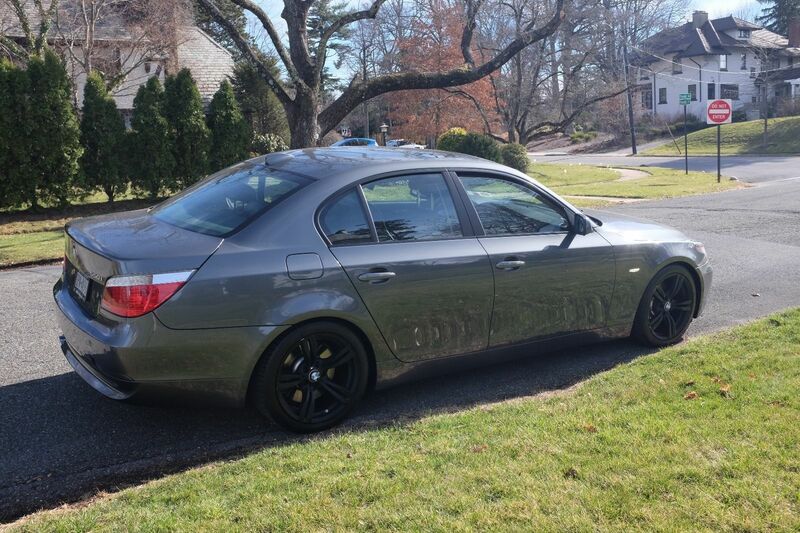 2007 BMW 550i: Zimmerman Front Rotor for $118.33 via AdvanceAutoParts. Having briefly owned one of these with autobox I can attest to the fact the pace is very, very quick and flat. With the stick, this engine and platform will get stuck in your brain. Set GPS for "twisty roads, no cop setting" and just try to wipe the smile off your face. The "Hutch" never evaporated so quickly on an early Saturday blast headed up to Lime Rock. Three very important words are absent: "Full Service History". A car with niggling, deferred repairs can toast a good deal. Complex car. Thus the short-term ownership. 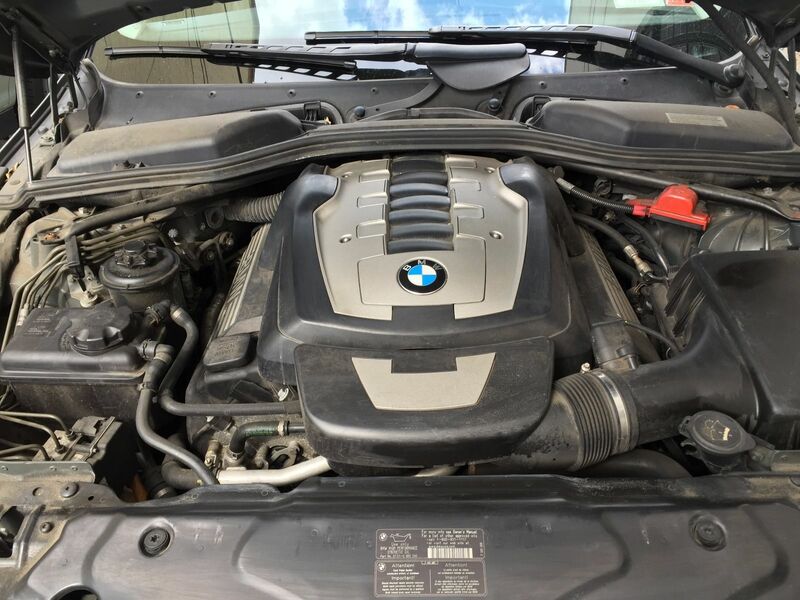 I recall touring the Dinan facility not too long after the E60 came out, and they'd just had a V8 car in for dyno testing, and Steve Dinan mentioning that just removing the activated-charcoal evap filter from under the intake air filter was worth something like 13HP. 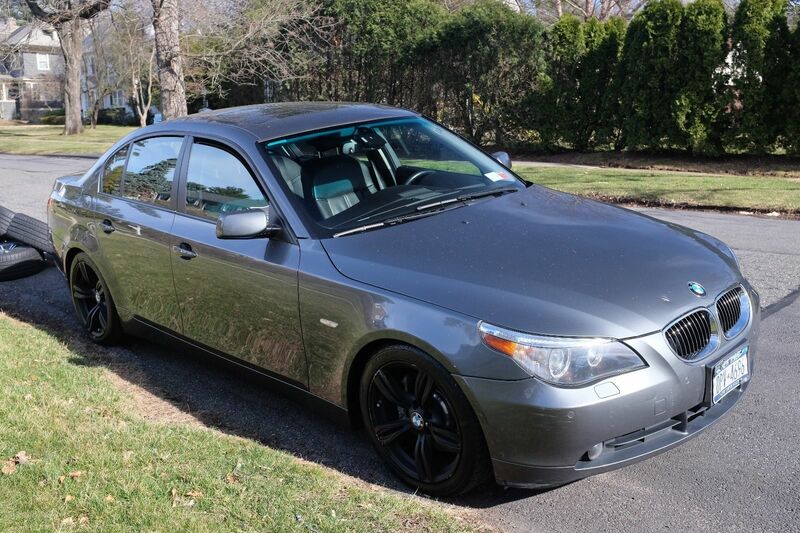 We had an '08 550i with the M Sport package (6-speed auto) and loved that car. It was deceivingly fast and when kicked over into "manual" auto sport mode, the shifting was quick and that engine would really sing. Chassis/balance was rock solid and the brakes just as good. Got it as a CPO car with 29k on it from BMW and after 4 years and 50k additional miles worth of ownership the only thing that ever needed replacing was a water pump and a battery. Miss that car actually. When my truck is paid off in about a year I'd considered looking into a 2010 550i of the same vein, but searches have come back with very limited choices. Arguably one of the sharpest factory wheel sets as well, IMHO.